New Humble Indie Bundle is now live. 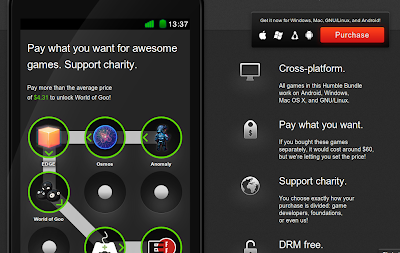 As usual, the bundle is up for any price that you want to pay, supports charity and all games are cross platfrom and DRM free. Plus this time, the games are available for Android as well. The games are - Edge, Osmos and Anomaly: Warzone Earth. If you beat the average price price, pick up World of Goo as bonus.